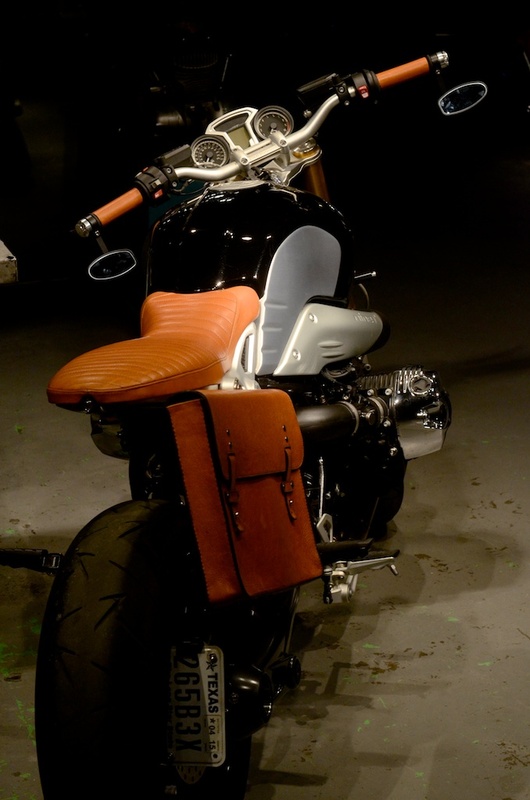 This project started with a handmade one piece aluminum seat pan designed for dual passengers on a customized BMW RnineT. The saddle, bag and grips are made from german sourced bull hide and the case is reinforced with 3mm veg tan hide and lined with black suede. 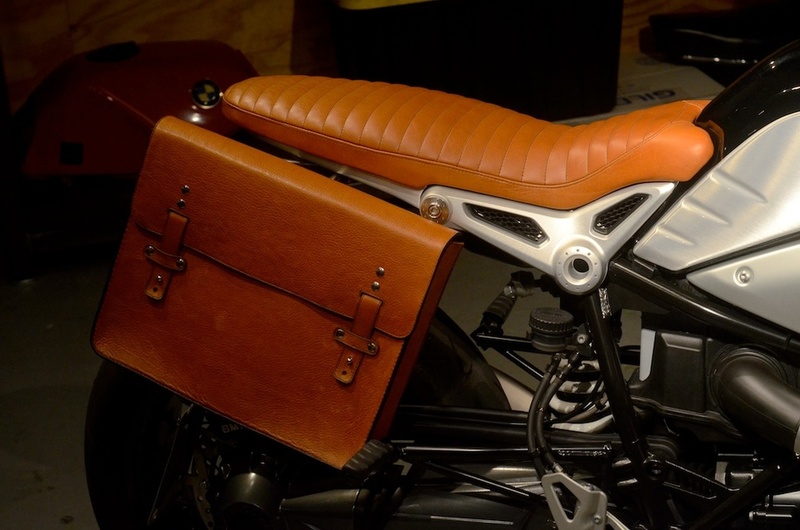 The saddle bags main case edges are entirely hand stitched.